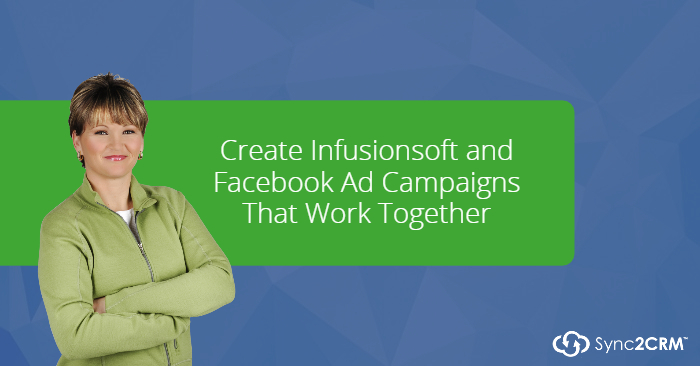 In this training, we are going to cover how to create Infusionsoft and Facebook Ad campaigns that work together to increase conversions and lower ad costs. 3:54 – Pixelling – Driving someone to your website to pixel them. 4:43 – What was the “Email List” is now the “Pixel List”. 5:40 – Facebook Custom Audiences – A list of Facebook users who meet certain criteria, comparable to a saved search of contacts in Infusionsoft. 11:03 – You can find the Sync2CRM demo here. 47:55 – Question: What is the difference to Sync2CRM and SyncSumo? 52:12 – Question: How small can a custom audience be? 53:04 – Question: What is the minimum spend on Facebook that you would suggest to get started with Sync2CRM? 56:35 – Question: Will it make me more money? Get the Slide Deck. We will send you the download!